As new technology emerges in the making of snowboards. X22 is on the cutting edge in making new designs to improve the snowboarding experience. X22 CEO Joel Powell is an expert craftsman in many trades and is now translating his passion for snowboarding into making new & exciting products that will enhance performance. 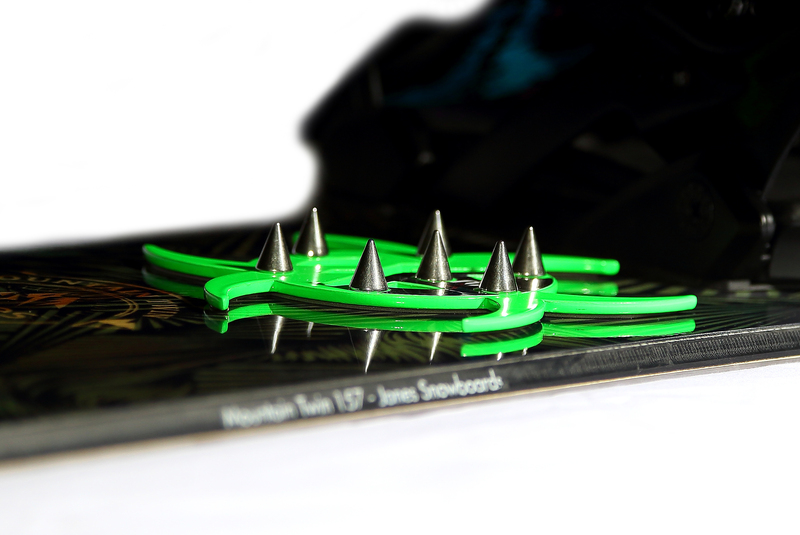 The same high quality that was exhibited in the X22 spike pad will also be utilized in the production of snowboards. Quality is of the upmost importance to us and we will only be using quality materials. X22 plans on being a major name in the snowboarding industry. Snowboarding has become a very popular winter sport. Each winter, millions of people flock to the slopes so that they can board down them. The thrill of racing down the mountain, making sharp turns, and even doing flips is exhilarating and provides a sense of excitement. Snowboarding gives people a thrill and allows them to be outside, enjoying nature. Snowboarding is also a great way to get exercise, rather than staying in doors lounging around. When it comes to the snowboarding gear, those who are dedicated the sport do what they can to improve their gear. People make improvements on their boards so that they are easier to maneuver. One improvement that people can make is adding a custom stomp pad. X22 is on the cutting edge in making new designs to improve the snowboarding experience. X22 CEO Joel Powell is an expert craftsman in many trades and is now translating his passion for snowboarding into making new & exciting products that will enhance performance. A stomp pad is used when getting off of the chair lift. When you are getting off of the chair, you are going to have to quickly get off so that the people behind you will have a clear exit. As you are getting off the lift you are going to be putting the boot, that is not in the binding, on the back of the board. If you put your food on the stomp pad, then you will be able to move more easily while getting off of the lift. The same high quality that was exhibited in the X22 spike pad will also be utilized in the production of snowboards. Quality is of the upmost importance to us and we will only be using quality materials. X22 plans on being a major name in the snowboarding industry.